Note - For Dollywood news, see our dedicated park page here. Read Screamscape’s Detailed Attraction, Show and Resort Reviews Here! General Area News - (4/6/19) Ober Gatlinburg has announced that they will offer “Summer Tubing” runs down the mountain this summer. It wont be with fake snow, but rather the tubes will run down the mountain on 250 foot long ‘slipper lanes made of synthetic materials.” Then they’ll remove it in the fall in time for the real snow to fall for winter tubing. (3/22/19) The local news reports that the new suspension bridge at the top of the Gatlinburg SkyLift is now set to open May 18, 2019. For starters a new Civil War themed theater show is set to open on March 2nd called “Buttonwillow Civil War Theater”. The show will tell the story of two East Tennessee siblings, one who favors the Union and one two favors the Confederate. You can visit the show’s official website for information on showtimes and tickets as they become available, and from what I gather this will be a show with a concession area, but not a dinner theater. The show will be located in a the theater building across the street from the Titanic Museum. While we’re talking about this section of the Pigeon Forge parkway, this is also the approximate location of the new National Enquirer Live attraction as well, which you can read about here. Meanwhile in the opposite direction I noticed land clearing was taking place on the site for the Pigeon Forge “Rowdy Bear” attraction back in late January, but I wasn't able to get a picture. Meanwhile a new attraction announced to be coming to The Island in the future should get some excitement, as the popular attraction site will soon be home to a new Flying Theater attraction. You can read more about that here. Other attractions on the way include The Mountain Mile shops, anchored by the Mountain Monster attraction tower that appears to be essentially finished and just waiting for the rest of the Mountain Mile project to catch up. The Mountain Monster will feature three attractions all attached to the 200 foot tower: the Saddle Sling, Daring Drop and the infamous Dive Ride, though I’m sure they’ll likely customize the ride names to go along with the Mountain Monster theme of the tower. You can see pictures from the site here. Just to the left is a new attraction I had not seen before, but it looks like it opened sometime around the very end of 2018 called Pigeon Forge Snow. This an an indoor climate controlled experience that will allow guests to go snow-tubing all year round, allowing guests to pay by the hour for a snow-tubing experience, complete with a moving-walkway to get sliders to the top and depending on the capacity they need, it looked like they had designed the location to offer up to 12 designated side-by-side lanes available for tubing. Other new area attractions we haven’t mentioned before include a soon to open Dave & Busters location in Pigeon Forge, the Crave Golf Club (with indoor and outdoor candy inspired mini-golf courses) and a new restaurant we stumbled upon across the street from the Tanger Outlets that was just incredible called the Five Oaks Farm Kitchen. It offers not only great food for breakfast, lunch and dinner, but you wont believe some of the portion sizes, like pancakes that look more like a cake than a pancake. You also might want to try the honey… they harvest it fresh from their own bees they keep on site by the pond outside. Try it… you wont regret it. A couple of new attraction are also on the way to Gatlinburg, including the Gatlinburg Pinball Museum (now open) where you can pay $15 for an all day pass to play all the pinball and retro video games to your heart’s content. Also coming soon is the new Gatlinburg SkyBridge attraction at the top of the Gatlinburg SkyLift. Set to open this Spring the SkyBridge will be the longest pedestrian suspension bridge in North America spanning 680 foot long. A major new nightlife location is also set to open soon called Ole Red Gatlinburg, a $9 million two-story restaurant/bar location that features a live performance stage space, dance floor and more from Blake Shelton. Look for Ole Red to host various opening week celebration events from March 11-17. Also the local Ripley’s attraction has given the attraction building one hell of a make-over to stand out from the rest of the crowd. Love it or hate it, you sure aren’t going to miss seeing it when going down the street. Meanwhile the tall mystery building going up next door has put up most of the steel framework for the tall building structure, but we still don’t know more about what might go in here. Here is a video version of this rundown, complete with some extra graphics and photos you might enjoy! (12/23/18) A reader has sent in a picture of a large steel framework going up next door to the Ripley’s Believe It Or Not museum in Gatlinburg. The site used to be a typical small single level building that featured three small shops, and behind it was a Shamrocks restaurant/bar that I’m told appears to be gone as well. The new location looks to be taking advantage of the ability to build vertically, through we don’t know exactly what it is for. Our source asked around and was told that it was expected to be another mixed-use facility, but may also contain some kind of attraction as well. More as we find out. (10/26/18) Christmas will come to Dolly Parton’s Stampede starting on October 31st, with the holiday version of the show running through to January 5th, 2019. And don’t forget the food… the Christmas dinner is a four-course feast with the Stampede’s original creamy vegetable soup, homemade buttery biscuits, a whole rotisserie chicken, honey-smoken barbequed pork lion, buttery corn on the cob, herb-basted potato, a specialty dessert and unlimited tea, coffer or Coke products. (10/11/18) While the Celebration dinner show will soon be replaced by Pirates Voyage in 2019, the theater will kick off their “Christmas Celebration” show on October 19 which will run through Jan. 5, 2019. The show is described as a Celebration version of The Nutcracker and the classic “12 Days of Christmas”. (7/11/18) According to a reader who just visited The Island in Pigeon Forge, the new Spinning Parrot compact spinning coaster is now set up and according to employees it could have opened sometime on Tuesday if all went well. If you pass by, take a look and see if it is open. UPDATE - Confirmed, it opened on July 13th. (6/1/18) A new report over at CoasterNation confirms that a new Mini Spinning Coaster ride is coming to The Island at Pigeon Forge in the near future. Like most of the other attractions there, this will be from SBF VISA Group and is said to be 14 feet tall, and with 16 passenger trains. If I had to guess, this would be one of their Compact Spinning Coaster systems, a figure-eight shaped layout with a spinning 16-passenger train. They had one on display at IAAPA 2017 in Orlando when I visited and my son took a test spin on it and said it was a pretty fun ride for the size. 2017 - Rowdy Bear Mountain - New Rowdy Bear Mountain alpine coaster now open, Mountain Glider coaster zip line coming Late 2017 / Early 2018 to Gatlinburg. (3/23/18) The Rowdy Bear Mountain attraction in Gatlinburg has finally opened their new Mountain Glider attraction it seems. You can see a POV video of the action posted to YouTube embedded below. (10/14/17) Back in late July I took a trip up to the Gatlinburg area and stopped by to shoot and ride the newest Alpine Coaster in the area at The Rowdy Bear Mountain which had just opened. The attraction will eventually be home to two attractions when they ad the side-by-side tracks for the Mountain Glider attraction, but during my visit construction had not yet started on this second attraction. The building was built to accommodate it with a separate loading platform on the level above where the Alpine Coaster loads, but as of my visit I was told they were still waiting for the parts to be shipped over from overseas. It's my understanding that they are now arriving and construction will begin soon, if it hasn't already, so expect this second attraction to open sometime between the end of 2017 to Spring 2018. For now, check out the POV video I shot of the Rowdy Bear Mountain Coaster below, which like the nearby Gatlinburg Mountain Coaster, they are a lot shorter rides than the pair of Alpine Coasters in nearby Pigeon Forge, but they do pack some good thrills into that shorter ride layout. I just think they would benefit from price cutting the experience by about half in order to lure in bigger crowds and more riders rather than charging the same or more than the longer Pigeon Forge attractions. No matter which you ride, I do have a tip for you... download and check the GroupOn app on your mobile device. Many of the Alpine Coasters in the area seemed to offer extremely discounted ticket offers that you wont want to miss taking advantage of, which could sway your opinion on which ride to take. Now if only someone would come up with a single discounted ticket that would include a ride on EACH of them over a couple-day period of time... that would be fantastic! (4/20/17) I mentioned awhile back that another new Alpine Coaster was coming to Gatlinburg not far from the Hillbilly Golf attraction and we've got a website now for it. The attraction is called "The Rowdy Bear Mountain" and not only will it feature the new Gravity Coaster (alpine coaster), but also a wild zip-coaster style attraction called The Mountain Glider allowing you to soar through the treetops of Rowdy Bear Mountain. According to the project's Facebook page, they are planning to open sometime in May 2017. I "borrowed" a couple of images off their Facebook page to share with everyone (hope they don’t mind), but to see more visit them yourself as well. Menawhile, if anyone passes by, send in a couple of photos yourself from the ground level. Late 2017/2018 - Anakeetsa / Rail Runner Mountain Coaster - (10/11/18) According to this article the Rail Runner Mountain Coaster at Anakeesta opened briefly before shutting down due to some kind of issue. Whatever the issue what, Anakeesta says the problem has been resolved, the ride has passed new inspections and is ready to reopen in the very near future, so keep an eye out for it if you are visiting Gatlinburg. (7/19/18) Good news for alpine coaster fans as Gatlinburg is nearly ready to open their latest addition. "The Rail Runner Mountain Coaster" is said to be in the final stages of testing at the Anakeesta attraction atop the Chondola sky lift. The Rail Runner is a different style alpine coaster from the rest in the area though... this one uses a single rail system that is said to be the first such design in the US. Watch the video below to catch some footage of the ride being tested and of the station which is actually at the TOP of the ride, so instead of starting off with a large lift-hill, your experience will end with the lift back to the top. From the look of thing, the manufacture of this single rail system is named Brandauer, and you can find an online brochure for the ride system here. Look for it to open sometime in August if all goes well. (4/20/17) I've been meaning to mention this for awhile, but there is an interesting new major development taking place in Gatlinburg right now called Anakeetsa. From the sound of things Anakeesta is a mixed use development project that will not only have a 2.1-acre street presence on the parkway, somewhere across the street from Ripley's Aquarium off traffic light #5, but also have a 70-acre development up the mountainside which guests can reach via a scenic gondola lift ride. From what I've been led to understand the project broke ground earlier this year and will feature an interesting single-rail alpine coaster attraction, the previously mentioned 12-minute scenic lift ride that will be called the "Chondola" that will offer a mixture of open quad-chairlift style seating or enclosed 6-seat gondoals, plus other "tree top activities for guests of all ages". At the top you will encounter the "shopping or dining at the tree house themed Firefly Village, walking the 20 bridge spans of the tree top canopy walk, exploring the birds of prey exhibit, riding a single rail mountain coaster, dual racing zip lines", or a treehouse themed adventure playground. Look for Anakeesta to open Summer 2017 if all goes well and beyond that in Phase 2 they are planning to add tree-house themed rooms you can stay in as well as well as a wedding chapel. 2019 - Mountain Monster at The Mountain Mile - (2/23/19) The Mountain Mile shops, anchored by the Mountain Monster attraction tower that appears to be essentially finished and just waiting for the rest of the Mountain Mile project to catch up. The Mountain Monster will feature three attractions all attached to the 200 foot tower: the Saddle Sling, Daring Drop and the infamous Dive Ride, though I’m sure they’ll likely customize the ride names to go along with the Mountain Monster theme of the tower. (1/15/18) An exciting new attraction and retail center is coming to Pigeon Forge, set to open as early as June 2018. The general site is being called Mountain Mile, a large 180,000 sqft retail and entertainment complex that will feature a new unique attraction in the center of it all called Mountain Monster. Built by world famous attraction designer, Stan Checkettes, the Mountain Monster tower will include three new thrill ride experiences coming off the 200 foot tall tower. I believe the three rides, all from Stan's Soaring Eagle Rides company, will be a Saddle Sling air-launch ride, a Daring Drop tower plunge and the first tower-based installation of their "Dive Ride" concept, which I believe was first built at the Cave of the Winds canyon in Colorado under the name Terror-Dactyl. That version was built to swing you out over a large canyon, but according to comments from Stan in an interview at IAAPA with Coaster Addict (see video below), you'll rise to the top of the tower, lean out until you are looking straight down at the ground, and then get released and fly across the parking lot over the Mountain Mile. (See the second video below to see what the Terror-Dactyl is like to get an idea of what's in store for you at the top of the Mountain Monster. Construction on the attraction is set to begin late March to early April, so if all goes well this should be thrilling guests this summer. As for the Mountain Mile complex, the website says it will ride along Teaster Lane and Jake Tomas Blvd, which I believe is the road up to the new Cal Ripken Experience baseball park and will also take over the former Belz Mall site which is already being taken down. 2018 - Margaritaville Resort in the Smokies: Gatlinburg - Under Construction - (2/1/17) Would you believe yet ANOTHER Margaritaville Resort is coming to the area? I missed this announcement that was made back in December (probably due to all the fire news at the time) but it has been confirmed that a Margaritaville Resort and LandShark Restaurant will be coming to Gatlinburg in 2018. Margaritaburg, LLC, a group of local investors associated with the owners of The Island in Pigeon Forge (and their Margaritaville Hotel) have purchased a five-acre island like piece of property surrounded by the Pigeon River, right in the heart of Gatlinburg next to the No Way Jose's restaurant and Ripley's Aquarium of the Smokies, where they will build a 7-story 174-room hotel with a 4,000 sqft outdoor pool and play area, a St. Somewhere Spa, other Margaritaville themed shops and amenities and will be connected to a LandShark restaurant across the river right on the Parkway where the former Hard Rock Cafe Gatlinburg used to be. The $35 million "Margaritaville Resort in the Smokies" project is already under construction and the previously existing Best Western hotel that was on the site has already been torn down. Look for LandShark to open sometime in mid 2017 and the new resort expect to open as early as July 2018. Much like rooms in the Pigeon Forge resort, they claim all the rooms will feature fireplaces, wet bars and each stocked with an official Margaritaville Frozen Concoction Maker for your own use. 2019 - Rocky Top Mountain Coaster - (12/12/18) As we previously mentioned the new Rocky Top Mountain Coaster in Pigeon Forge is now open and we’ve found a fresh POV video showing off the entire experience, which unlike the other alpine coasters in the area that feature one large lift and a long high speed run, this one features four lifts and four smaller high-speed runs back down, and covers the front and backside of the hillside location. (11/22/18) One of our readers ventured out try the newly opened Rocky Top Mountain Coaster in Pigeon Forge earlier this morning and reports back that it as “SUPER fun! The ride lasted just over 9 minutes total, had four different lift hills, multiple tunnels, and was just pure fun. $18 for the first ride and then $9 for re-rides. Definitely worth the money. I liked it at least as much as the Coaster at Goats on the Roof and probably more but I admit it may just be that it’s new. Time will tell but they definitely have built a great new experience for the whole family to enjoy.” He also send along some fresh pics of the ride experience as well, so enjoy! (10/31/18) A new video posted by Rocky Top Mountain Coaster to their Facebook page confirms that they intend to open the attraction somewhere between November 15th to December 1st. They also confirm that during testing that the coaster experience is over 9 minutes long, which in theory should make it longer than the Smoky Mountain Alpine Coaster and the Goat Coaster, which according to videos I shot of each time out around 7:45 and 5:40 respectively. (And for comparison’s sake, the Rowdy Bear Mountain Coaster in Gatlinburg only took a little over 4 minutes. (10/17/18) Some new construction footage from the Rocky Top Mountain Coaster site has been posted to their Facebook page. Check it out below. (10/13/18) According to this new video about the Rocky Top Mountain Coaster posted on Friday the 12th claims that the attraction will be ready to open within the next 30-45 days. (10/10/18) Anyone been by the Rocky Top Mountain Coaster lately to see how far along they are? According to the latest Twitter posts, they claim that “there’s something spooky on the mountain”, which seems to imply that the attraction will be open by or before Halloween. Meanwhile another tweets reveals more details about the ride itself, claiming it will feature four tunnels, four 360º turns and 4 lift hills. (10/5/18) A tweet posted by the new Rocky Top Mountain Coaster account shows off an animated preview of what their station will look like, but unfortunately no peek at that layout of the actual ride itself just yet. Curiously they say, “Get ready to ride this fall!”, but since it is already “Fall”, it makes me wonder if they are really that close to being finished or not. If you are in the area and can grab a pic of their progress so far, please do send it in. (9/13/18) A quick update on that new Alpine Coaster spotted going up in Pigeon Forge. According to a source the attraction will be called the Rocky Top Mountain Coaster, and they even have a temporary teaser website at rockytopcoaster.com. The early word from their Facebook page it will be the longest mountain coaster "in Eastern Tennessee.and the South-Eastern United States." They say there will be themeing used along the route, including four tunnels for the coaster. (9/12/18) Another new Alpine Coaster is currently under construction in Pigeon Forge, this one can be found on Veterans Blvd, as you pass from the main drag in Pigeon Forge just before you get to Dollywood. One of our readers was in the area not long ago and sent in some pictures. Based on the photos, if this is the entire Alpine Coaster shown here, then this isn't a very big one at all, especially when compared to the area's other rides. But I'm hoping it goes much further back off the road than what we can see here. Anyone know more? 2019 - Pirates Voyage - (3/24/19) We Dolly herself had announced during a presentation at Dollywood last week that the new Pirate’s Voyage dinner theater would open on June 6th, the official website for the show is now selling tickets for shows starting on May 24th. They’ve also posted a fun videos showing off how the old set was removed and the former show stage dug up and transformed into a 15 foot deep lagoon, removing 7,500 tons of dirt. (10/9/18) Dolly Parton is changing the former Smoky Mountain Adventures dinner theater attraction in Pigeon Forge once again. If you remember the venue itself, located next to The Island at Pigeon Forge, started off as the home to the Lumberjack Feud show under different ownership back in 2011. Dolly’s group bought it and transformed it into “Dolly Parton’s Lumberjack Adventure” for the 2016 season, only to change it again into the previously mentioned Smoky Mountain Adventures name in 2017. I didn’t catch what happened in 2018 myself, but it changed again to some strange new show called Celebrate that features a lot of Cirque style acts with a cast dressed up more as circus performers and clowns, but now that show has come to a close and the venue will undergo the biggest change yet. In 2019 the site will become the second Pirates Voyage location. The first Pirates Voyage came into being almost a decade ago in the North Myrtle Beach area when they decided to transform the existing Dixie Stampede dinner theater into something entirely new and unique. Pirates Voyage has been wildly successful on the coast and now they have decided to bring the fun to the Pigeon Forge area next Spring. 2019 - Stampede Buys Fee/Hedrick Pirates Revenge - (12/20/18) While recovering from Thanksgiving, it seems many of us missed a big announcement from the Pigeon Forge area. Right around the end of the month it was announced that The Fee/Hedrick Family Entertainment Company who owns The Comedy Bard, the Hatfield & McCoy Dinner Fued, the Smoky Mountain Opry and a few other attraction was being purchased by World Choice Investments, LLC, which is the name of the official company behind the Dolly Parton dinner theater attractions: Dolly Parton’s Stampede and Pirate’s Voyage. No price was given for the transaction, but the deal is expected to be finalized sometime in January 2019 and World Choice confirmed that all the current shows will continue to run as they are through 2019. This includes The Smoky Mountain Opry and Magic Beyond Belief, which will also remain inside the Smoky Mountain Opry Theater, brining and end to the previously announced Pirate’s Revenge Dinner & Show attraction that was supposed to replace the Opry and serve as competition to the World Choice’s new Pirate’s Voyage show opening in Pigeon Forge in early 2019. (10/9/18) 2019 will be known as the year the Pirates invaded Pigeon Forge, as the same day that Dolly Parton announced that they will bring their Pirates Voyage dinner theater show to their venue located next to The Island at Pigeon Forge, the Fee/Hedrick Family Entertainment Group also announced their own pirate themed show is coming to Pigeon Forge in 2019. Fee/Hedrick is the group behind the awesome Comedy Barn and Hatfield & McCoy Dinner Show shows in the area, and will perform a $20 million transformation of the current Smoky Mountain Opry theater on the North side of town into the new “Pirates Revenge Dinner and Show” attraction, opening in Summer 2019. Once the permits are approved, construction is set to begin as early as this November, though the scheduled “Christmas at the Smoky Mountain Opry” show will proceed as usual. When complete the new Pirates Revenge show will feature a retractable water stage said to be the largest in the Southeast, moving ships and other unique features being designed just for this show project. The show itself will feature actors, stunt divers, acrobats, singers, dancers as well as live animals. If the plans are approved as shown, the outside of the theater will have a spectacular themed look to it, complete with unique features and special effects sure to make it stand out, much like Fee/Hedrick’s Hatfield & McCoy theater building down the road. The existing Magic Beyond Believe show will move from this theater to a stand-alone site located across the street from the Hatfield & McCoy Dinner Feud. They also hope to relocate the Smoky Mountain Opry Show to a new location as well, but that has yet to be determined. Late 2019 - ZipCoaster at Smoky Mountain Alpine Coaster - (11/24/18) ZipFlyer announced at IAAPA that they would be building a new 3,800 foot ZipCoaster in Pigeon Forge at the site of the Smokey Mountain Alpine Coaster that should open sometime in 2019. According to ZipCoaster the plan is to essentially build the new ZipCoaster experience in the air directly over the existing Alpine Coaster layout. I’ve posted a sample video showing off what the ZipCoaster technology looks like below, and under that I video I shot of the Smoky Mountain Alpine Coaster when it opened in 2014 to give you an idea of what the location and terrain will look like. 2019 - August Moon Indoor Drive-In - (11/28/18) We've mentioned the Mountain Monster coming to the Mountain Mile retail and entertainment complex at Pigeon Forge in 2019, but at IAAPA we noticed something new had been added to the complex… the first August Moon indoor "drive-in” theater attraction. Previously it looked as if the first August Moon was sent to be built in Nashville, but now even the official website has been updated to say that it will open in Pigeon Forge in 2019. If you missed our previous report on exactly what August Moon is, I’ll give you the basic rundown again on this indoor "Drive-In" Theater, Bar and Grille attraction. Keep in mind that it is "Drive-In” in theme only, as you will enter a large 40,000 sqft air supported dome structure. Inside will be a $10 million indoor themed environment that will feature what appears to be a classic drive-in theater, complete with classic cars (hopefully all convertibles) already parked in front of the screen, a simulated starry night sky above, along with fake trees, faux fireflies, grassy areas, tables, along with a full service restaurant and bar, with "artisanal takes" on great genre style burgers and milkshakes. If sitting in a car isn’t your thing there will also be other luxury seating options, including couches in private booths, tree swings and assorted stadium-style seats scattered about. They also promise to offer the "largest non-IMAX movie screen in North America", and may also feature live performers who can interact with the audience before and after the films and possible interactions with live projections on the screen as well. I love this idea and can't wait to see it first hand, as it will take your typical family trip to the movies and turn it into a special experience. 2019 - National Enquirer Live - (2/23/19) The crazy looking building for the National Enquirer Live attraction was already well under construction when I last visited the area in late January and took these pictures. They have also just launched the official website for the attraction which lists it as opening in Spring 2019, but no further information about just what kind of attraction it will be. (12/23/18) The former Smoky Mountain Jubilee theater building, directly across the parkway from the Titanic Museum has been demolished and a new structure is taking shape there. While there has been no official announcement, our source claims that the new building going up will be to open the new National Enquirer Museum attraction. Planning for the new attraction was recommended for approval by the planning board back in May, and I'm told the old theater structure was demolished around September. Based on the concept art, the finished product should feature a pretty wild looking building, looking as if a small tower building had tipped over and fallen on top of a large headquarters building for the National Enquirer. All said, the attraction building themed to the infamous tabloid will be 17,760 sqft. Details about the experience are still a bit fuzzy, but since the development of the attraction is said to be coming from a former president of Ripley’s Entertainment, I would imagine the format may be similar to what you would find at a Ripley’s Believe It Or Not attraction. There is a mention of one interactive attraction that might give guests to act as a tabloid reporter or editor and come up with crazy creative headlines and images for the front page, likely with their family's own images included and then have it shared online through social media channels. 2019/2020 - Pigeon Forge Rowdy Bear Mountain - (10/12/18) It appears that another Rowdy Bear Mountain themed attraction is coming, this time to the Pigeon Forge area. A small sign has apparently been up for a couple of months on a large site that is currently only occupied by a single house, but has a bunch of open property behind it that isn’t far from the Titanic attraction. It seems across from the Howard Johnson hotel, located between the Memories Theater and Local Goat restaurant. The sign on site reads, “FUTURE HOME of another Great Adventure Park by Rodby Bear Mountain, Home of the World’s First Mountain Glider”. The sign can be clearly read in Google Map’s Street View image taken back in May 2018, and a reader sent in an overhead view of the entire site to show how large it is. The original Rowdy Bear Mountain site opened the the first phase (an Alpine Coaster) of their Gatlinburg location in mid-2017, followed by the opening of the Mountain Glider attraction in early 2018. Keep an eye on this new Pigeon Forge location going forward to spot any sign of new construction. In the meantime click here to see our POV video of the original Rowdy Bear Alpine Coaster. 2020 - Flying Theater at The Island at Pigeon Forge - (2/23/19) A deal to build a new $20 million Flying Theater attraction from Dynamic Attraction was announced for The Island in Pigeon Forge, set to open in 2020. The attraction will feature a custom film to depict the natural beauty and landscape of Tennessee’s Smoky Mountains region, enhanced through in-theater special effects like wind, mist and even scents. The exact location at The Island was not given, only that it would be near the site’s current Smoky Mountain Wheel and fountain show attractions. If I had to guess, I wouldn’t be surprised to see it take over that tiny parking lot location between the Paula Deen’s Family Kitchen restaurant and the rest of The Island that has always seemed a bit out of place. Dolly Parton’s Smoky Mountain Adventures Dinner & Show - Renamed and revamped version of last year’s Dolly Parton’s Lumberjack Adventure show. Rowdy Bear Mountain - New alpine coaster in Gatlinburg opened late summer, Mountain Glider attraction coming soon. 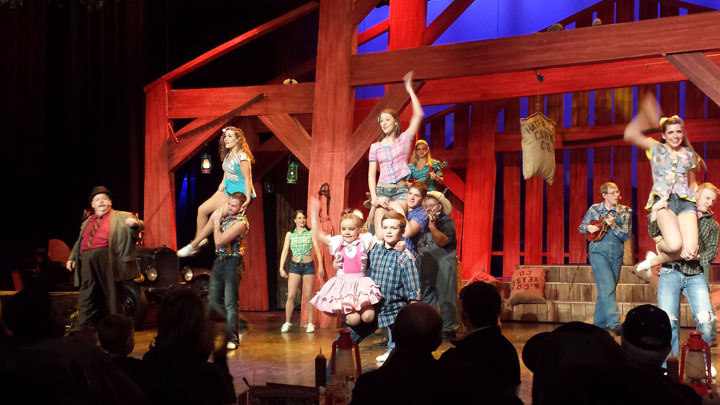 Dolly Parton’s Lumberjack Adventure - Dolly bought the old Lumberjack Feud dinner theater attraction and has remade it into an all new dinner show, located down next to The Island, featuring good entertainment, good food and great fun. Read our official review here. Top Jump - A new attraction in Pigeon Forge has opened a few weeks ago called Top Jump, featuring the largest "Clip 'n Climb" installation in the USA. They also feature a Trampoline Park (complete with Dodgeball game) a candy store and an arcade. Look for it on the main drag just before Dollywood Lane when driving in from Gatlinburg. Paula Deen’s Family Kitchen / The Island at Pigeon Forge - The infamous Paula Deen has opened a Paula Deen’s Family Kitchen location in Pigeon Forge. Her new joint will be right in the shadow of the Great Smoky Mountain Wheel, across from the new fountain display at The Island in Pigeon Forge. The food is good and the portion sizes are very large, but as you would expect the prices are a bit high as well. They do serve an interesting breakfast menu as well. Ober Gatlinburg Mountain Coaster - Opened in August, the cost to ride will be $15 for one ride (age 3 and up) and $36 if you want to pre-purchase 3 rides (for the same rider only). However there is one more factor to consider if you want to ride this newest thriller. Walking into Ober Gatlinburg is a little difficult, as you first have to get yourself to the top of the mountain, with the primary way for most people being a $12 round-trip ride on the Aerial Tramway up from Gatlinburg proper. Note: If you can find your way, you can get directions to drive to the top of mountain and park directly at Ober Gatlinburg in the warmer months of the year, though you will have to pay $5 for parking. They claim a track length of aprox. 3750 feet (1000 feet up, 2750 feet down. The Coaster at Goats On The Roof (aka: The Goat Coaster) - The Goat Coaster clocks in at 4,375 feet in length, so it's a little shorter than the nearby Smoky Mt Alpine Coaster down the road which is 5,400 feet, but it is also quite a bit longer than the Gatlinburg Mountain Coaster which is just 3,280 feet. That said... I found the downhill portion of the new Goat Coaster to not only be much faster, but also a much more aggressive layout. The course weaves back and forth across the hillside, but frequently approaches the cliff-style edge of the mountain at high speed, which is a sure-fire clinch-up moment where you want to pull back on the throttle and ride the brake for a second or two... just in case. Don't miss it! It's a blast! Gatlinburg Mountain Coaster - The third new Alpine Coaster attraction to open in the area, but the first in Gatlinburg, located between the Davy Crocket Mini Golf and Hillbilly Mini Golf attractions. Great Smoky Mountain Wheel / The Island at Pigeon Forge - It took a few years but the new retail / attraction development now known at The Island at Pigeon Forge has finally opened and looks fantastic. There are a few gift shops, the Timberwood Grill restaurant, a huge arcade and the highlight of course that you can see for miles is The Great Smoky Mountain Wheel, a 200 foot tall observation wheel giving you a unique view of the Pigeon Forge / Smoky Mountain landscape. The wheel features 42 climate controlled gondolas which will make three full revolutions during your ride experience which will take between 8-10 minutes. The huge attraction is covered with a 24,000 square-foot network of LEDS that will put on a spectacular lightshow seen all around Pigeon Forge after dark. Smoky Mountain Alpine Coaster - Opened in early August, built into the mountain terrain, it is about half a mile or so off the main drag down Wears Valley Road. This is probably the most exciting attraction built in the Pigeon Forge area outside of Dollywood in years so don’t miss it. Castle of Chaos & Hannah’s Maze of Mirrors - Now open next to the Hollywood Wax Museum, featuring a large mirror maze attraction and the Castle of Chaos 5D Interactive shot ‘em up haunt style attraction. Admission ticket specials are available in combinations with the Hollywood Wax Museum. Hollywood Wax Museum - (3/1/11) According to this article the company behind the former Hollywood Wax Museum in Gatlinburg will open a new wax museum attraction in Pigeon Forge at the site of the former Dinosaur Walk Museum. The new 30,000 sqft attraction will be the largest of its kind when it opens in 2012. Lumberjack Feud - (3/29/11) An interesting new dinner show will be opening on Pigeon Forge this June called the Lumberjack Feud, which will feature a 1000-seat arena. The show “will follow the fictional story of two families that worked together in felling the trees of the Smokies until tragedy strikes and a wedge is driven between them. The climax of the show will be a contest between the two sides to determine who gets to stay on in the mountains and who must leave.” The show also has their own Facebook page. The Smokey Mountain Opry Theater - The Smokey Mountain Opry Theater opens in March, replacing the former Miracle Theater. This new production comes from the same group behind the Hatfield & McCoy, Comedy Barn and Country Jamboree Breakfast shows. Titanic Museum Update - The Titanic Museum will upgrade a few things this year to mark the passing of the 100th Anniversary of the sinking of the Titanic on April 15th, 2012. A new exhibit about the making of James Cameron’s Titanic film will be added. 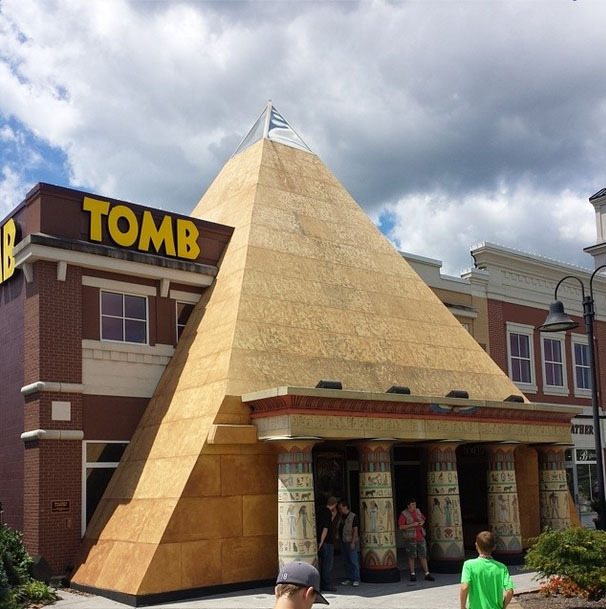 The Tomb - A new themed interactive Egyptian tomb attraction at Walden’s Landing (home of Firehouse Golf). Getting in to the tomb is easy… getting out? Not so much… Looks to be a nice unique addition to the area that would be fun to experience with a group of friends. Wonders of Flight - Wonders of Flight, a large tethered hot air balloon ride will be added to WonderWorks. The balloon will be from Aerophile, the same company Disney has used in Paris and Walt Disney World, and will be able to lift 30 passengers 400 feet into the air for a view of the Smokey Mountains. Details and ticket prices can be found here at the official site. (9/25/16) While visiting Dollywood over the summer I had the chance to stop in a enjoy the latest version of Pigeon Forge's premier dinner show, Dixie Stampede. Over the years I've seen the show a couple of times... once or twice before in Pigeon Forge and I even got to see the Orlando version while it was open. 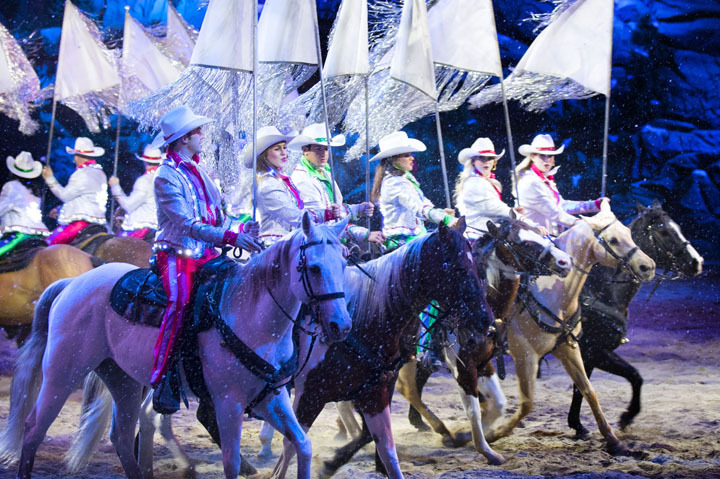 The nice thing about the Dixie Stampede show is that it keeps evolving over the years, not only adding new acts to the show, but also great new technical additions to improve the overall show experience. Case in point, the theater has added a great looking video-wall that acts as a huge virtual set / backdrop at the far end of the theater. This allows them to create some new and unique atmosphere options that were simply not possible before, which adds greatly to the show experience, without being so over the top that it takes your attention away from the performers. In addition to incredible choreographed musical numbers, including both horse and riders, the show also features several fun musical acts, enjoyable competition elements to get the crowd cheering for their side, as well as some hairy looking stunt performances as well, including a rider who jumps through a ring of fire. On top of it all, there is the comedy elements that are just genuinely funny. In fact, it may be the comedy moments that stick with you the most, as these acts are usually headlined by the antics of "Skeeter", the lovable redneck who has just great timing with his punch lines. As always the food is plentiful and oh so tasty, which just adds to the great value of the show itself. Plus it was great to watch my kids be enthralled by the show, the performers, animals, the music and more. Such a perfect way to end a long day in Pigeon Forge too. 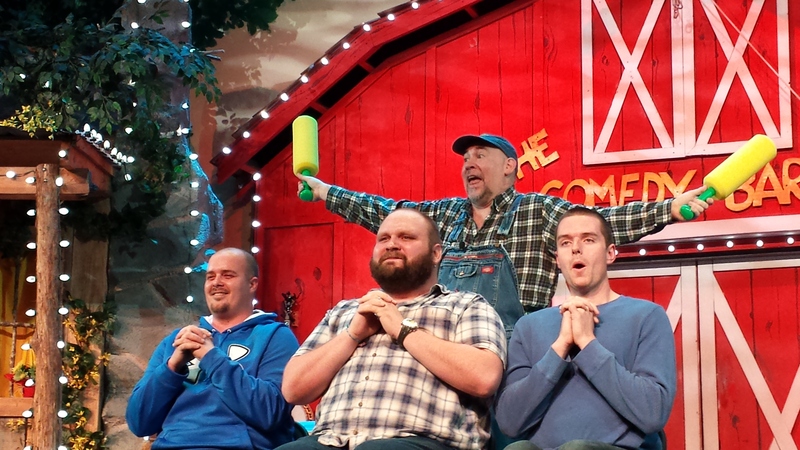 (2/28/15) For the third part on my Pigeon Forge series I’m going to talk about an attraction that is celebrating its 20th Anniversary this year… The Comedy Barn. If you’ve been to Pigeon Forge before you know you've seen it... either on the billboards or passing by the large red building in the middle of the parkway. While it sticks out, it also had an unfortunate effect to blend in with the other assorted mess of crazy shops, tourist traps and attractions. Truth be told, before my latest trip to Pigeon Forge, I had always wondered about The Comedy Barn, but I never had any serious intention to stop in and find out. I’m happy to report what a colossal mistake I had been making all these years, and one many of you are also probably guilty of. The site itself has some history, as The Comedy Barn began with the purchase of the closed Archie Campbell’s Hee Haw Theater, which was already themed to look like a barn, so when the founders: David Fee and Jim Hedrick, bought it, they decided to run with it and renamed it The Comedy Barn Theater when it opened in 1995. A year later they had experienced almost nightly sellout shows and decided to build their own new theater in the middle of the parkway, and kept The Comedy Barn name and theme. As the name implies, The Comedy Barn is an comedy show held in the evenings that will feature a little pre-show entertainment, some musical acts, an intermission and several different comedy acts that were all original and hysterical. There are also an assortment of comedians on staff at The Comedy Barn so who you see perform there one night may be entirely different from who you see on your next trip, which is great as it keeps things fresh for repeat visitors. Another awesome feature of the Comedy Barn, no matter who is performing, is that the comedy is kept CLEAN. This is a family friendly show that you can feel entirely comfortable in bringing both young children and grandparents alike to come see. Open year round, The Comedy Barn puts on one or two shows nightly and is offered at a great discount rate right how as part of a combo ticket offer for the Hatfield & McCoy Dinner Show, which was featured in last week’s review. One item of note... this is NOT a dinner theater. You can however buy food and snacks in the lobby before the show or during intermission. You can pull up the schedule and buy your tickets online in advance at the official website. (2/20/15) This second article in my series on visiting Pigeon Forge, TN will be all about another one of the area's famous dinner theaters, the Hatfield and McCoy Dinner Show. The Hatfield and McCoy Dinner Show, located next to the Titanic Museum, is also one of the newer production in town, opening back in mid-2011. Unlike some of Pigeon Forge’s other dinner theaters the Hatfield and McCoy building is a highly themed masterpiece, with bright red and blue cartoon style colors that would look right at home within any theme park environment. The building is designed not only to stand-out, but also gives a great visual representation of the family feud story it is based on, with fun props outside as well as farm animals (Goats, pigs, chickens and big fat rabbits) on display. In addition to some fun photo spots outside with the animals, outhouses and funny signs, there is also a neat doorbell gag installed at each of the three entrances into the building, daring you to ring the bell. Once inside, you can wander around a large gift shop area which actually has some great redneck / hillbilly themed gifts inside (beer or bacon scented soap anyone? ), fun t-shirts and a very impressive fish aquarium that is themed to look like it was made from a gigantic old moonshine still. It is worth mentioning that the creation of this moonshine still themed aquarium was actually documented for a recent episode (Dec. 12, 2014) of the reality show, Tanked, which can be viewed here. Arrive early, because you'll need to get your tickets from one of the windows and line up to go inside the theater, and it gets crowded rather quickly. Keep an eye out, because some of the characters from the show are actually wandering around in here as well, and fortunately Ma McCoy saw the confused look on my face and rushed over to welcome Kerry and I to the family reunion. After the brief welcome she took us to the right ticket window and made sure we would be sitting with the rest of her kin on the McCoy side of the theater. Apparently we were distant cousins and invited to take a quick photo for the McCoy family album (we were even given a moonshine jug and uncle Jeb’s rifle to hold) before being taken to our dinner table. “Cousins! !” We were quickly welcomed at the table by Cousin Pee-Wee who asked what we wanted to drink and said he would be right back with some fresh Possum Soup. This was a great touch, as even the food service staff was in on the act, which only helped to make the experience even more immersive and fun. Before we knew it Cousin Pee-Wee was back with two bowls of the Southern Style Creamy Soup (minus the possum thank god!) and a basket of warm biscuits. Just as we finished the soup, he was back again with several small pots filled with awesome southern comfort food items like Corn on the Cob, Fried Chicken, BBQ Pulled Pork, Mashed Potatoes and Coleslaw. Seriously... this was a ton of food, all of it very good, and just when we were stuffed and couldn't take another bite of pulled pork, Pee-Wee was back with dessert, a chocolate Worms & Dirt style pudding, minus the worms. The food was great, the serving size was more than enough, and service was excellent! Your Tea and Soda are included with the meal but if you want something more you can flag down another one of your new cousins who are walking around with a cooler full of beer or a jar of Moonshine for an additional charge. While all this was going on, we were entertained in the theater by some great music and small comedy bits for the pre-show, which lasts for the duration of the meal. Unlike the bigger "arena" style dinner theater shows like Dixie Stampede which need room for animals to run around, the Hatfield and McCoy Dinner Show is an more intimate experience with an assortment of big tables on the floor level right up next to the stage, a ring of tables around the main entry level promenade, proceeded by several levels of tiered seating beyond that. There isn't a bad seat in the house. Once dinner is done, the show proper begins with the local Mayor hiring a new Sheriff assigned with keeping the peace in town as the local feuding families, the Hatfields and McCoys, are on their way down to a barn dance. As you can imagine, as soon as they see each other the nostrils flare, the fists begin to fly and weapons are soon brought to the ready as the hapless sheriff intervenes as best as he can. I'm not going to give away any more of the story than that, but the rest of the show is full of action, comedy, singing, dancing, banjo dueling, the occasional bit of gunfire and a lot of laughter. The show's comedian talents are top notch at performing in front of a live audience, and the cast has a great assortment of talented musicians and dancers of all ages who all rocked the house. In short, I loved every minute of this show and would go back in a heart-beat, especially as I hear that they have a special "Christmas Disaster" show they put on for the holiday season as well that I can’t wait to see! So the next time you are in Pigeon Forge and looking for an evening of good laughs, great food and fantastic entertainment, then look no further than the Hatfield and McCoy Dinner Show. You wont regret it. The Tomb - (10/8/14) An interesting article talks about the rise of “Escape the Room” style attractions where you are put in a small group and trapped within a a small environment or small room(s) and have to search through the contents within to solve riddles and puzzles in order to escape. According to the article, the attractions began appearing in Europe and Asia about a decade ago, but are now starting to appear in the US in limited form, and the article goes on to describe one in Miami Beach called Escape the Quest. While I haven't seen that particular attraction, which is said to only have a 20% success rate, I did try a similar concept themed attraction in Pigeon Forge back in August called The Tomb. At The Tomb you are teamed up with a small group, and sent into a creepy Egyptian tomb themed experience, along with a guide, who also acts as a storyteller and aide just in case one of the puzzles is proving a little too solve. Sections of the Tomb are dark… very dark, and you are even given flashlights to find your way in one room, all to help create a creepy, almost haunted house style atmosphere. The puzzles are not hard… but some do require a group effort while others are far more easier if a leader type is there to help direct the action, but the overall experience is quite fun and worth a try.